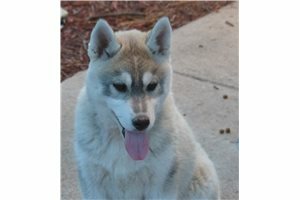 This Siberian Husky nicknamed Archi's Bi-Eyed Girl sold and went to a new family. 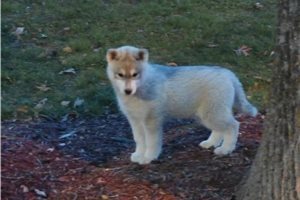 8 weeks old gray/white female Siberian Husky with bi-color eyes, show quality, great pedigree, excellent body, wonderful temperament. 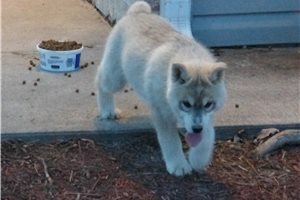 The puppy will have an international veterinary passport, microchip, international vet passport, all shots. Comes with a pedigree convertible to AKC for a one-time fee. Prices include delivery to the US and all necessary transfer documentation. Please text 512 nine one four 17 six four. Extra $100 per puppy for the export pedigree (if you’re buying these pups not as pets but to breed them).